You are here: Home / Buying Guides / i5-8400 + GTX 1070: A Good Match? i5-8400 + GTX 1070: A Good Match? If you’re looking to buy a new CPU, GPU or both, you might be wondering if the i5-8400 and GTX 1070 make a good combination. The answer depends on a few factors like your monitor and the games you play, but this guide will hopefully help you make a decision. When it comes to the CPU, the i5-8400 is a great CPU to pair with a GTX 1070 if you will only be gaming. However, if you will also be streaming and multitasking, you should consider the Ryzen 5 2600. Both of these CPUs offer great performance for their prices. When it comes to the GPU, pairing the i5-8400 or Ryzen 5 2600 with a GTX 1070 is the best option for 1080p 144hz gaming or 1440p 60hz gaming. However, you might want to consider the cheaper GTX 1060 if you will only be playing e-sports games like CS:GO which are not very graphically demanding. For 1440p 144hz gaming I would recommend a GTX 1080 with an i5-8400 or Ryzen 5 2600 to get the most out of your monitor. 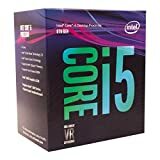 Should I Buy the i5-8400? First, let’s take a look at the CPU. The Intel Core i5-8400 is a great CPU for gaming and it offers fantastic performance for the price. It isn’t going to break the bank, but it’s still capable of running most games at very good frame rates. So if you already have a GTX 1070 and you’re looking for a CPU to pair with it, the i5-8400 is definitely worth considering and won’t be a bottleneck. However, you should also take into consideration the AMD Ryzen 5 2600. This CPU is around the same price as the i5-8400 and offers similar performance but there is a slight difference. The i5 is slightly better when it comes to pure gaming (although the Ryzen can be overclocked which will bring it up to the i5s level), and the Ryzen is better for streaming and multitasking. So to keep it simple, if you will be gaming and won’t be streaming or multitasking, I would recommend the i5-8400. If you will be streaming or multitasking, I would recommend the Ryzen 5 2600. 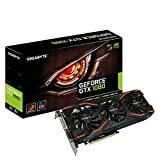 Should I Buy the GTX 1070? Now let’s look at the GPU. There isn’t really a best GPU to pair with an i5-8400, it depends on the specific circumstances. Primarily, your monitors refresh rate and resolution, and the games you play. Some games are more demanding than others, so before deciding on the best GPU, check out the benchmarks for your favorite games, or head over to YouTube and watch some videos to get an idea of how well the combo will perform. When you do this, remember to take into account the resolution of your monitor. Ideally, you want the frame rate to be as close to your monitors refresh rate as possible to get the most out of your monitor. In the next sections, I will talk more about when I would and wouldn’t recommend pairing an i5-8400 with a GTX 1070, but first, the video below shows you how you can expect this combo to perform in various games at 1080p. Below is a general guide for when I would recommend this combination. It will depend on the specific games you play though, so make sure to check out the benchmarks for them. 1080p gaming @ 144hz – the i5-8400 and GTX 1070 is a great combination for gaming on a 1080p 144hz monitor. Most games will be able to get way above 60 FPS with this combo so you will be making the most out of your monitor. 1440p gaming @ 60hz – this combination is also good for gaming on a 1440p 60hz monitor. At 1440p, an i5-8400 and GTX 1070 should be able to get more than 60 FPS in most games most of the time. Now let’s look at the scenarios where I wouldn’t recommend this combination. E-sports gaming – if you will only be playing e-sports games which aren’t particularly demanding (e.g. CSGO), then you won’t need a GPU as powerful as a GTX 1070 and you can save yourself some money going with a GTX 1060 instead. A GTX 1060 will run these games just as well as a GTX 1070. For example, you should be able to get 200+ FPS with an i5-8400 and GTX 1060. 1440p gaming @ 144hz – although the GTX 1070 is a good card for 1440p gaming at 60hz, if you want to get the most out of a 1440p 144hz monitor, I would recommend pairing an i5-8400 with a GTX 1080. Streaming and multitasking – like I mentioned at the start of the post, if you will be streaming or multitasking, choose the Ryzen 5 2600 over the i5-8400.